We bring our customers the latest and most affordable smoking and vaping products. with the best service Come visit our store and see for yourself! Help you create the perfect smoking or vaping experience. Cigars, vaping, glass? We do it all! Here's why we're special. We have everything you need. Whether you're trying to enjoy a aromatic cigar, looking for premium E-juices, or maybe just looking for RAW papers . You can bet we have it! We are a family owned business. The owner of the business is a proud University of Maryland alum. Her business partner Neal, also her brother, also attends University of Maryland. We started this venture because we felt like the Arundel Mills area was missing a legitimate smoke and vape shop. There wasn’t a place where you could get everything related to smoking or vaping in one location. So we came up with Cigar and Smoke Shop! Cigar is in our name. 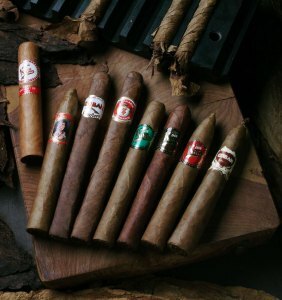 We provide a wide variety of cigars for a personalized smoking experience. Our store has an extensive collection of the top brands. Every cigar is stored in a specific temperature and humidity to ensure a perfect smoke every-time! Our store carries the latest vaporizers for any vaping need. We have a variety of devices so you can find the perfect vape whether it's for liquids, herbs, or concentrates. Don't forget to ask about asking about our comprehensive collection of E-juice to find your flavor. We are also the premier destination for premium water pipes and hand pipes. Come in, we promise you will find something you like within your budget. We have the perfect piece for every budget. Here are some of the brands we carry: Grav Labs, Toro, and Illadelph.